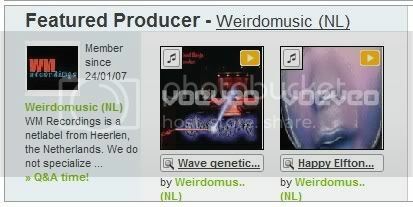 We’re the ‘featured producer’ on Voeveo.com! On Voeveo you can buy exclusive mobile content by WM Recordings artists Happy Elf and Rubber Band Banjo. Read the Q&A Voeveo co-founder Annabel Youens had with us here. If you’re an artist and you’re interested in submitting your mobile content (ringtones and wallpapers), don’t hesitate to contact us.